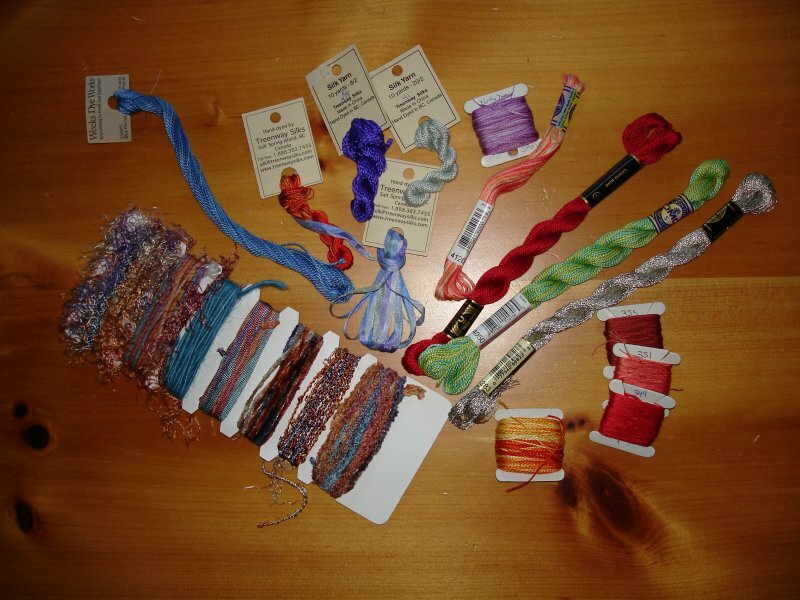 With lots of fabric and fibers to play with (this is just a very small sample of my fiber stash), what could be better? This entry was posted in Crazy Quilting. Bookmark the permalink.